As snow continues in the mountains of Colorado Friday, there could be light snow at tonight's 9NEWS Parade of Lights. 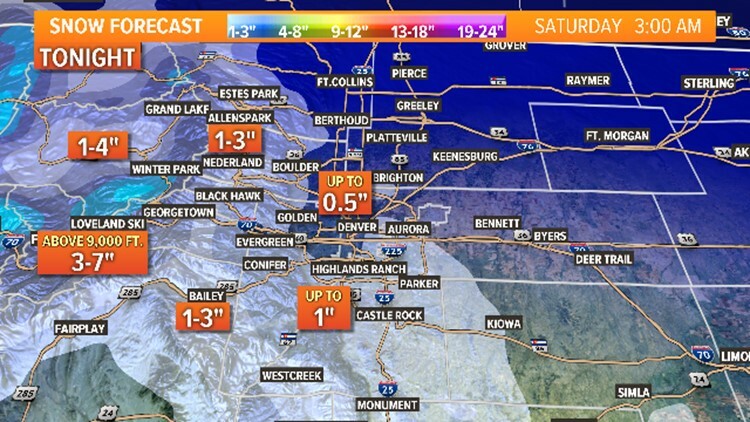 KUSA — Change is on the way in Colorado this weekend. 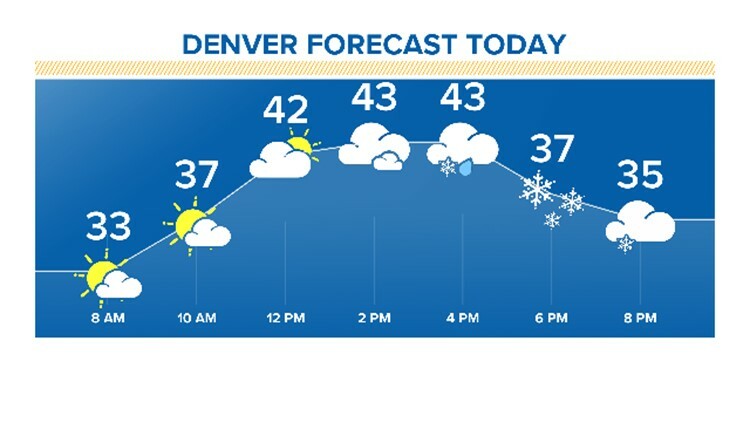 Light rain and snow will come to the Denver metro area Friday as a storm system moves across the state. Generally there will be less than 1/2" accumulation, with up to 1" the south metro area. 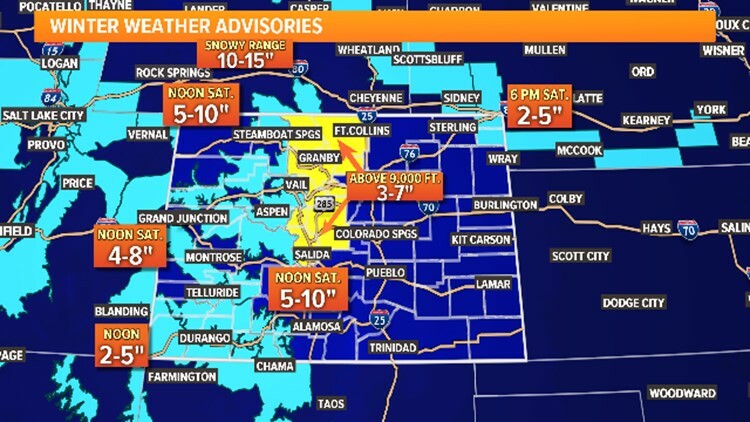 Watch for a heavier band of snow to set up on the south side of Denver between 4 and 8 p.m. A separate heavy band will also be possible in northern Colorado around Fort Collins and Greeley during the same time period. These snow bands could produce accumulations that are slightly higher than forecast. However, this will be for very localized areas. Snow will continue in Colorado's mountains Friday night. Saturday will be warmer, but very windy. Wind gusts could reach 20 to 30 mph along the I-25 corridor. The next chance for moisture along the Front Range will be Sunday afternoon and evening. The same storm system will be intensifying on the eastern plains. This will help to increase chances for snow along the Front Range at the end of the weekend. The snow, however, looks to be light with accumulation of up to 1 inch by Monday morning.